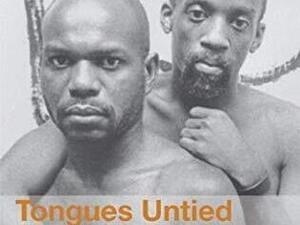 Please join the Queer Cinema Series in celebrating the 30th anniversary of Marlon Riggs's landmark documentary Tongues Untied. This classic film chronicles black gay life with a fierce lyricism, combining poetry, testimony, rap, and performance. It is the winner of many awards, including the Los Angeles Film Critics Award and the Best Documentary prize from the Berlin Film Festival. Tongues Untied is a hallmark film in black American cinema and should not be missed. There will be a panel discussion immediately following the screening.